Celebrate 2017, and Support 2018!! 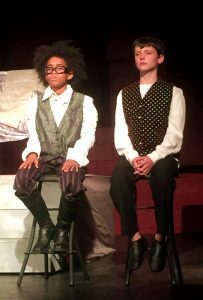 More than $25,000 in financial aid awarded in 2017 meant that there were no financial barriers to a child participating in Shakespeare Youth Festival LA. Children from more than 40 schools all over Los Angeles took part in our programs this year. We performed three plays in repertory for our Spring 2017 season – 45 youth played 81 characters in fourteen public performances. 38% of our audience was attending their first LADC production. 28% have attended more than five different productions. Our audiences came from all over Los Angeles, with 44 different zip codes represented. Shakespeare is for all ages – 18% of our audience was under 18. 17% was over 60. This Summer, more than 75 kids took part, from 33 zip codes. 65% of the registrations received a full or partial scholarship. We awarded more than $10,000 in scholarships this Summer. 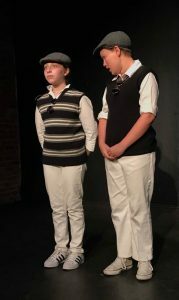 We performed six recitals, with 21 Shakespeare scenes, 6 scenes by contemporary playwrights, 9 musical numbers, 10 short plays written by our young playwrights, and countless Shakespearean insults! We are currently rehearsing four plays, including one original World Premiere, to be presented for Shakespeare Youth Festival LA 2018. We are in residence at Girls Academic Leadership Academy (GALA), preparing for a full production of The Tempest, to be presented in December. 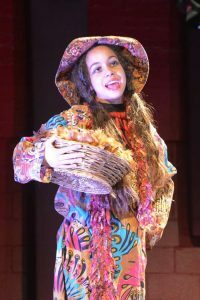 We worked with students at Episcopal School Los Angeles (ESLA), as they began their study of Midsummer Night’s Dream, and are in discussions with four more schools to become a part of their curriculum. Our Artistic Director, Blaire Baron, is preparing for a trip to Africa in the Spring, to bring our work to Botswana as a part of the Botswana School Project! While LADC is proud to be supported by a number of government entities, foundations and community organizations, individual contributions make up the majority of our support. With your support, youth in Los Angeles (and soon, Botswana!) can continue to grow up with William Shakespeare!